Nicki Minaj is sending lots of love to Cardi B and Offset‘s new bundle of joy, Kulture! The 35-year-old “Chun-Li” rapper reportedly sent a $5,000 gift basket to Cardi, according to The Blast on Wednesday (July 11). The basket includes seasonal clothes, dolls, stuffed animals and a sterling silver rattle. The basket is now on the way to Cardi‘s home! 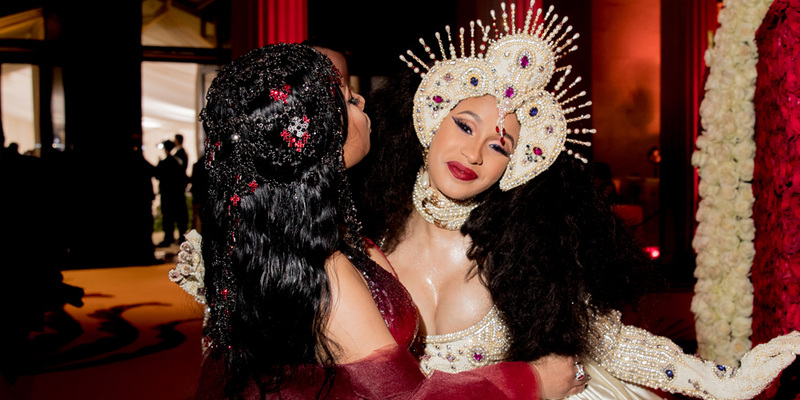 0 Response to "Nicki Minaj Reportedly Sent Cardi B a $5,000 Baby Gift Basket"